We are bordered on 2 sides by the Rocky Cape National Park. It has a series of walks from 20 minutes to a full day 25km return walk and everything in between. Experience The Lighthouse, Aboriginal caves, wild coastline, tranquil bays ,a waterfall and amazing views of the coastline and alsoinland over rich basaltic soiled cropping farms. There is over 4 kilometres of secluded coastline to explore, swim or fish. Unique tilted rock formations to photograph. Check out the shell deposits and the rock pools at low tide. On the way to Stanley turn off at Mawbanna to visit Dip Falls and the "Big tree" nearby. At Stanley visit historic Highfield House and take the chairlift to the top of the "Nut". Seal tours are available and visit the Seaquarium located on thewater's edge alongside Stanley's fishing fleet. Take a picnic lunch and a full tank of gas and explore the Tarkine Drive. This scenic drive is full of walks, lookouts, sites, and picnic spots for you to explore. You may wish to complete the rainforest and the coastal sections separately as day trips. Head on out through Smithton an agricultural service town and on the way to Marrawah stop off at Tarkine Forest Adventures site of the only Blackwood sinkhole in the world. 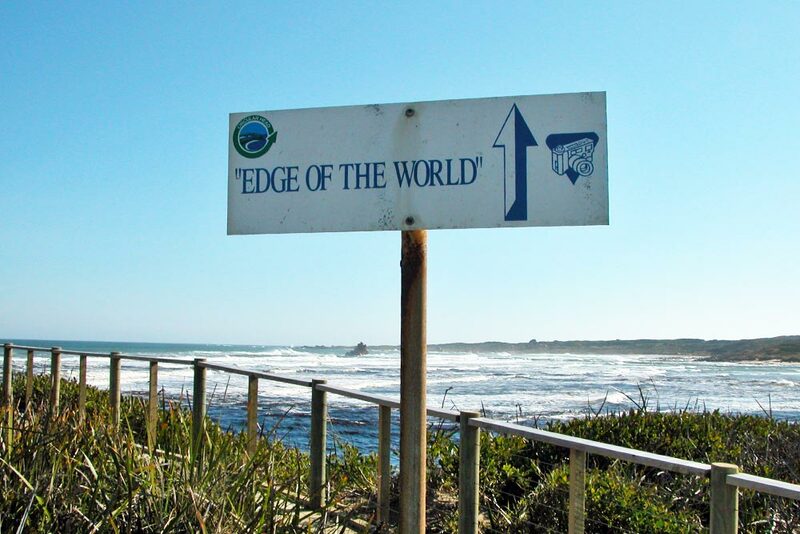 Check out the surf on the rugged west cost at Marrawah, home of the world renowned "Cold Water Classic" and the "Red Bull Stormchase" windsurfing event where the head judge commented that the conditions there were the best he had ever seen in the world. Further on down the west coast take a tranquil Arthur River cruise and take in the wildlife especially the White Bellied Sea Eagle.